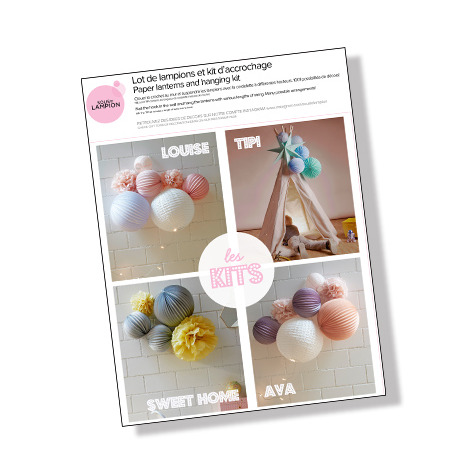 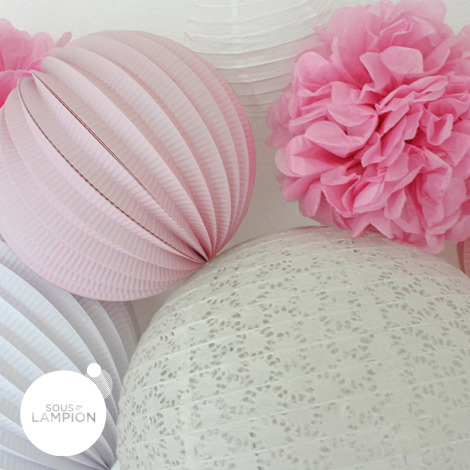 This pretty DIY paper lanterns kit is a perfect gift for a baby girl, or a princess bedroom. 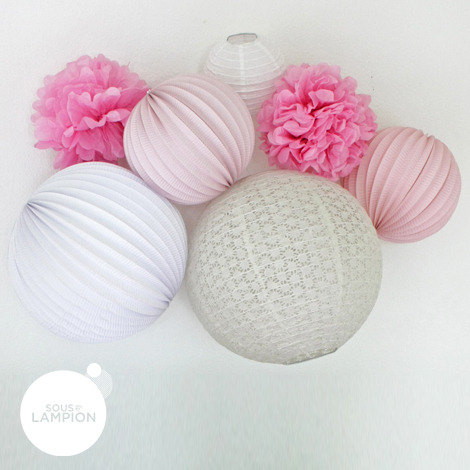 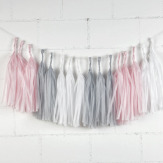 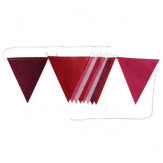 You can create a gorgeous grouping of pastel paper lanterns. 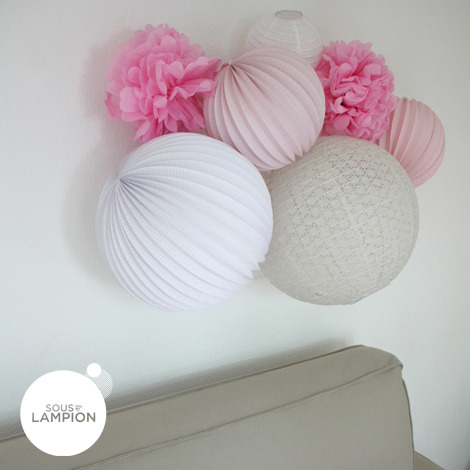 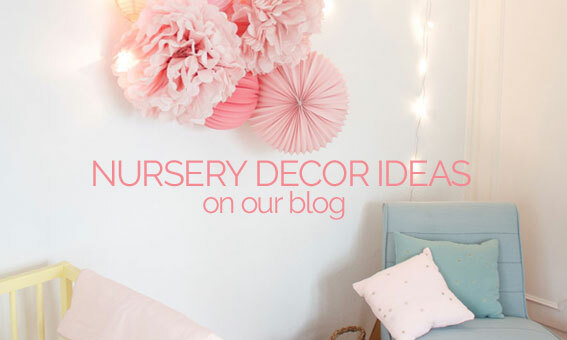 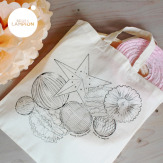 Includes: 2 accordion lanterns 20cm, 1 accordion lantern 30cm, 1 lace paper lantern 35cm, 1 paper lantern 15cm, 2 pompoms 25cm, picture hook & nail, string for hanging.